In 30 years’ time, will you be holidaying on the moon? In 100 years’ time could you genetically engineer your own pet? In 1000 years’ time will you travel through space in an anti-matter-drive spaceship? 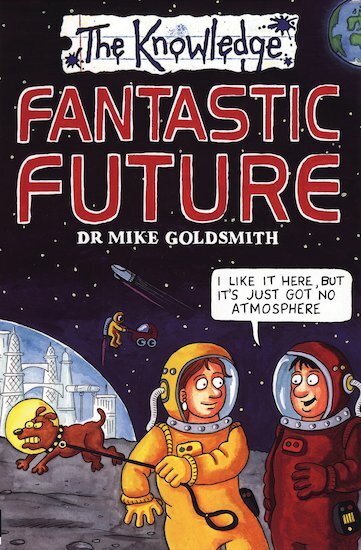 Take a time-travelling trip into the future in this fantastic guide! Visit vast skyscraper cities, make friends with robots and cyborgs, colonize far distant galaxies, and watch the very last star go out at the end of the universe. Read the Tomorrow’s Times news reports, discover how to terraform a desert planet … and create a virtual you! NC1230L Lexiles are the global standard in reading assessment. They are unique as they are able to measure a child and a book on the same scale – ensuring the right book gets to the right child at the right time.